Playground supervision begins at 8:00 a.m.
Students dismissed at 3:35 p.m.
Playground supervision ends at 3:45 p.m.
Wyoming weather can be unpredictable! 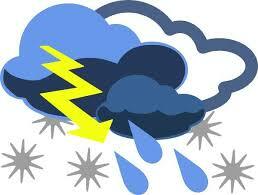 Students should bring jackets, coats, hats, and gloves with them to be prepared for the ever changing Wyoming weather! Students will go outside for recess unless the temperature (with wind-chill) drops below zero or when the principal determines conditions to be unsafe for outdoor activity. Looking for a yummy and quick meal option for your family? PTO has Domino's BOGO pizza cards available for purchase for $10. Each card has 16 coupons for Buy One Pizza and Get One Pizza FREE. That's 16 FREE pizzas!! Cards expire 12/31/2019. Get your cards from the school office and start enjoying pizza right away. 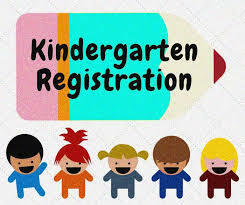 Rossman Kindergarten Registration for the 2019-2020 school year will take place on April 9th through April 12th from 8:00am-3:00pm at Rossman. Parents will also need to bring their Driver License so we can scan them into the visitor system. Parents will also need to fill out an online registration form and sign up for a kindergarten screening time to be conducted on April 16th and 17th. Computers will be available for parents to use to complete the online registration. 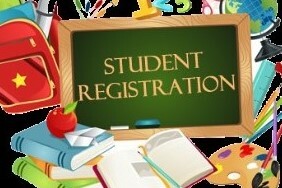 Registration for the 2019-2020 school year will take place on April 9th through April 19th at the student’s home school. • Provide Proof of Address (a current Black Hills Energy bill within last 30 days or a mortgage or lease document). Water, cable, phone bills will not be accepted. Download the free SchoolWay app onto your phone and stay informed of school updates and info, instant safety notifications, athletic events, and PTO activities. Rossman students are powered by AVID. Click to learn more about AVID. Click on Rossman Info on the top link above for online directions to the school. 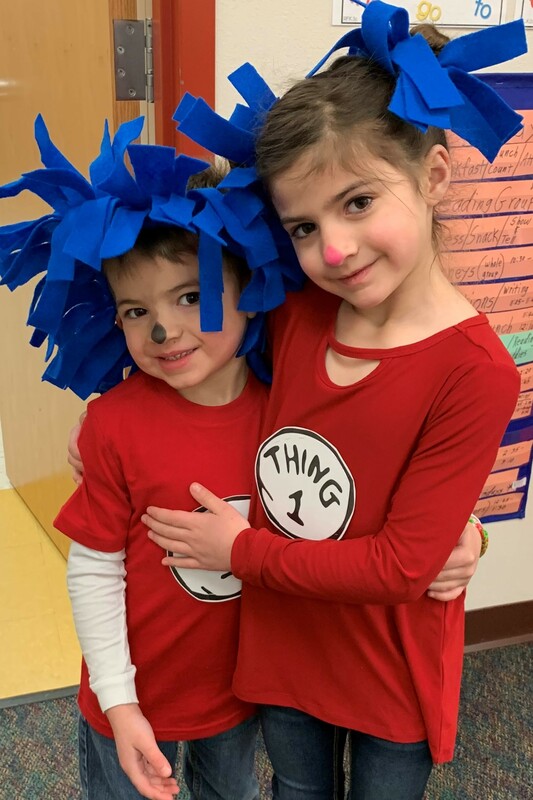 Peaduta & Liam Rutledge celebrate Dr. Seuss Day. 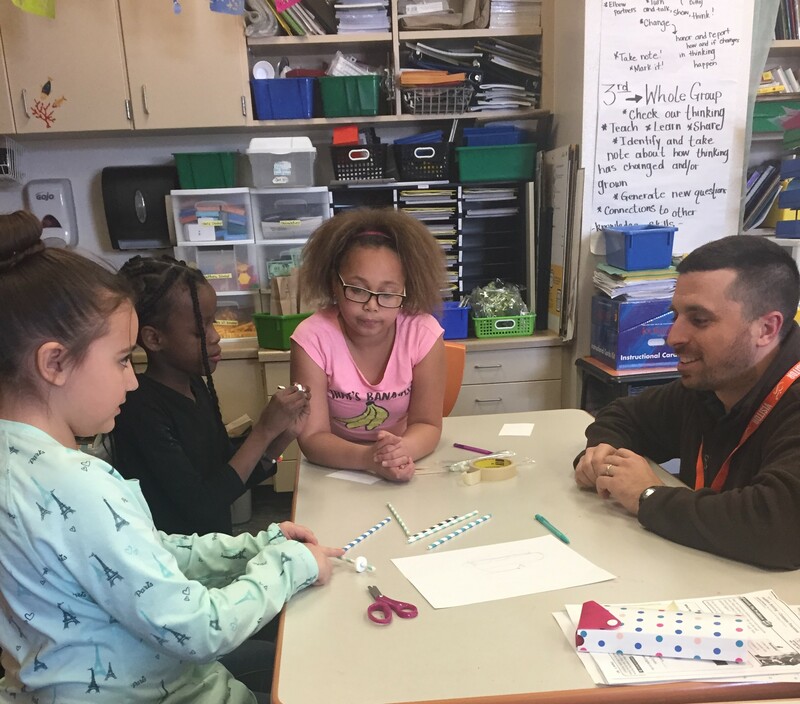 3rd Graders work with Engineer Ben Neme from Martin and Martin Wyoming to design Mint Mobiles. 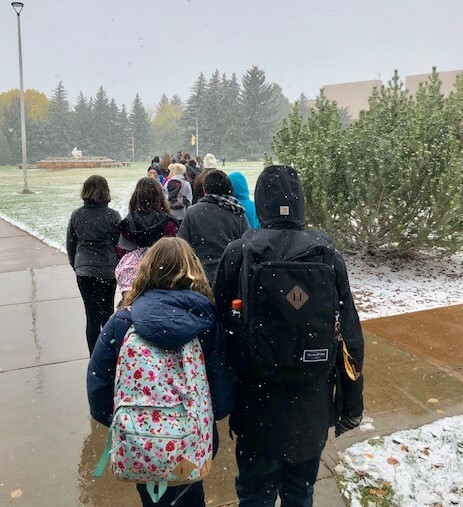 6th Graders experience campus life trekking through snow showers at UW. 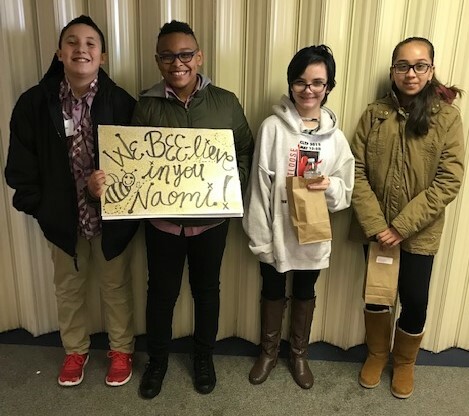 The students spent the day at the University learning about campus life as part of the career and college readiness day in support of Rossman's AVID program. 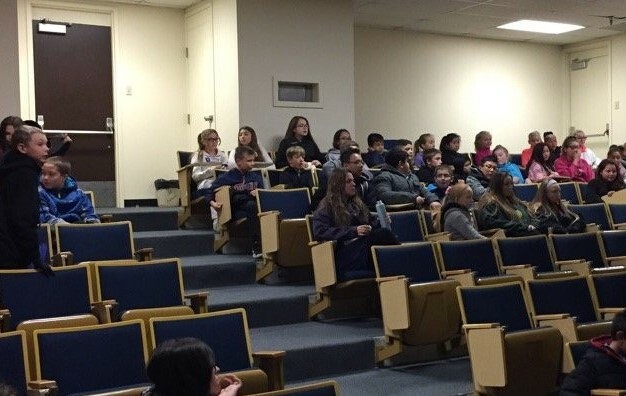 6th Grade in UW Lecture Hall. 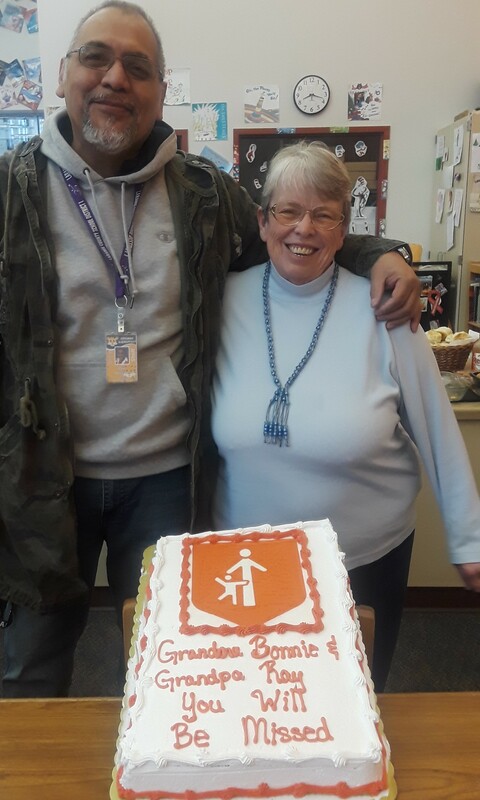 The students spent the day at the University learning about campus life as part of the career and college readiness day in support of Rossman's AVID program. 6th Graders with Dino friend at UW Geological Museum. The students spent the day at the University learning about campus life as part of the career and college readiness day in support of Rossman's AVID program. 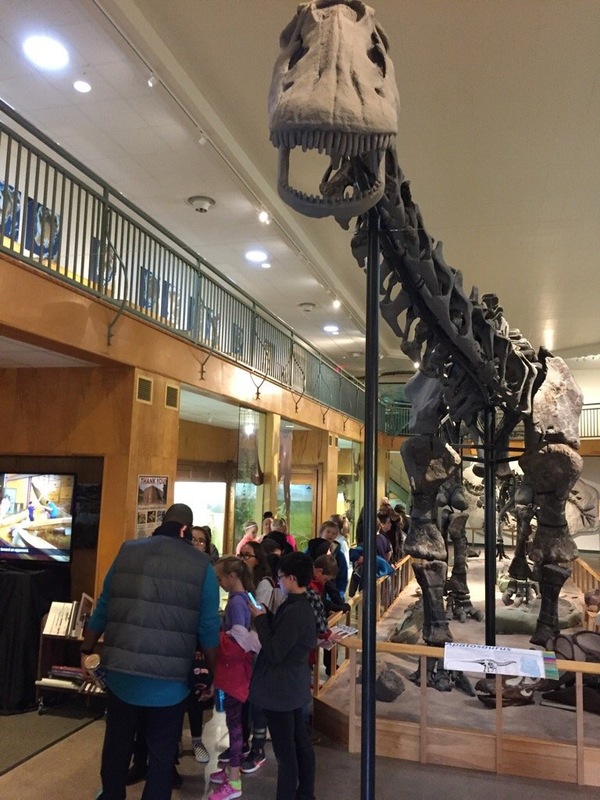 While on campus, they visited the UW Geological Museum and learned about paleontology and careers in that science. The students spent the day at the University of Wyoming learning about campus life as part of the career and college readiness day in support of Rossman's AVID program. 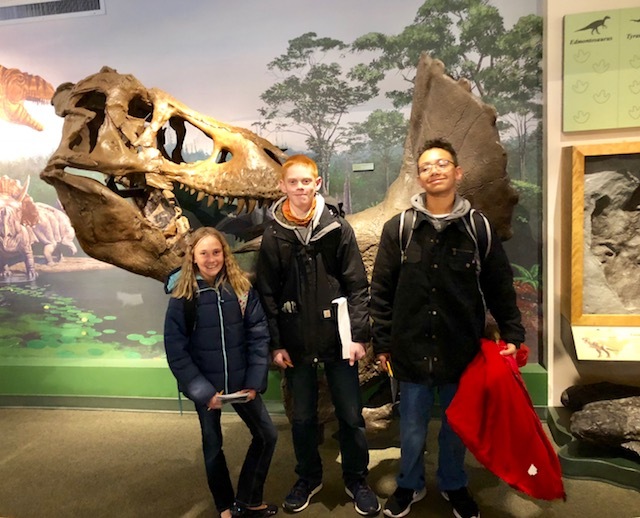 While on campus, they visited the UW Geological Museum and learned about paleontology and careers in that science. 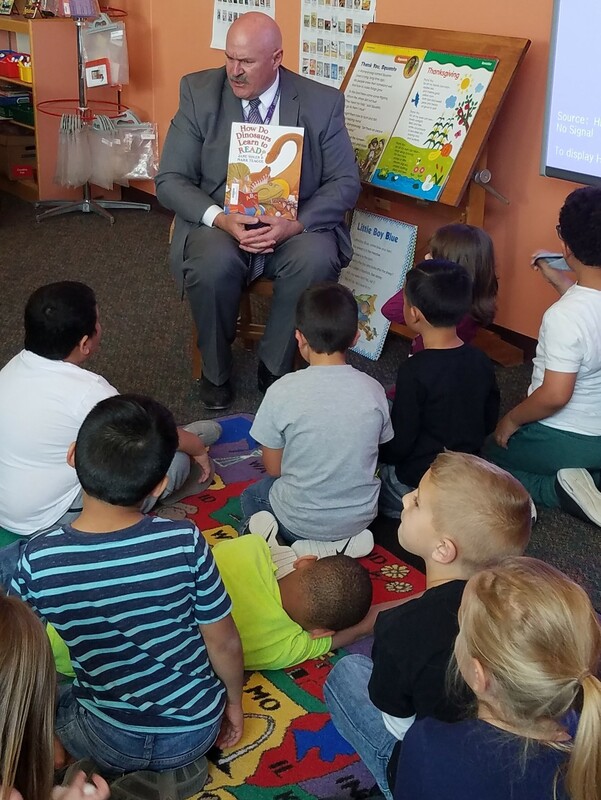 Superintendent Dr. Boyd Brown reads to and engages in conversation with Mrs. Stemple's 1st graders during Rossman's Community Hero Readers event in the Library. Rossman Elementary is located in South Cheyenne near Orchard Valley and the Allison Addition. The facility was named after John Rossman, an early pioneer and businessman. This school currently is home to 340 students in grades PreK-6. The faculty and staff offer students a variety of innovative programs designed to meet the needs of a diverse student body. These programs focus upon the development of skills that will enable our students to become lifelong learners and productive citizens. We are also working to improve our climate and culture through the use of a variety of support programs. The current initiatives include implementation of the Professional Learning Communities, a team approach to the Guided Reading Program, an Extended Day Learning Program, Student Recognition Assemblies, MTSS (Multi-Tiered System of Supports), PBIS (Positive Behavioral Intervention and Supports), and AVID (Advancement Via Individual Determination). AVID Philosophy: Hold students accountable to the highest standards, provide academic and social support, and they will rise to the challenge. AVID Mission: Close the achievement gap by preparing all students for college readiness and success in a global society. AVID's learning support structure is WICOR: Writing, Inquiry, Collaboration, Organization, and Reading. Visit www.AVID.org to learn more. We welcome you to our website and hope that you will find this information helpful.